Social forces have been the driving force behind application innovation on the web. Whereas previously we might have looked to advances in computer science for new directions, now some of the most dramatically impactful applications are lightweight, simple, and technologically unimpressive. The best new web applications have centered around collaboration, sharing and discovery with other people. "In the 9 years [the Intranet Design Annual, which highlights the ten best-designed intranets of the year] has been coming out (since 2001), I’ve never seen a change quite as great as this one." On the Internet at large, social network use is growing at ten times the rate of other activities and now accounts for 10% of all online time, according to Nielsen Online in this March 2009 report (PDF), and is now more popular than email. Jerimiah Owyang has a list of more relevant statistics over on this digest blog post. Executive summary: social networks are big, transformative in terms of how we communicate and share information, and growing at an enormous rate. [..] A closed set or exclusive set of information services provided for users (a method of creating a monopoly or securing an information system). In other words, a walled garden is a system where the data can not easily be imported or exported. These are often also called data silos, after the solid buildings used for secure storage. Facebook, the #1 social networking site in most western countries, has over 200 million users, including over 30 million who update their profiles at least once a day. The network is free to use, yet their revenue for 2008 has been estimated at around $265 million, despite a decidedly “in progress” revenue strategy. This has traditionally required a walled garden strategy: the content that users put into Facebook has not been easily removed for export or viewing in other interfaces, in order to preserve revenue from advertising (and – although this is a hunch – revenue from statistical analysis of users’ data). It’s only been in the light of some extremely negative publicity (for example this February 2008 New York Times article) that they have begun to relax this policy and embrace the open direction that much of the rest of the web is heading in. Speaking personally, I get more enquiries from people wanting to build something “Facebook-like” than anything else, presumably because of its phenomenal popularity. However, this kind of walled garden approach is not conducive to true collaboration; generally people who ask for this are lacking a full understanding of the processes involved in social networking. According to Nielsen, there are almost 1.6 billion people online. While Facebook’s 200 million sounds like a lot, it’s actually a drop in the digital ocean – so what happens if I want to share a Facebook conversation with someone who hasn’t signed up? The only way is currently to email them a link and force them to register for the service. Facebook would love me to do this, of course, because they get more eyeballs to view their ads and more people to fill in profiles. But what’s the point of even being on the web if you can’t make use of the decentralized communication features that form its backbone? Furthermore, I need to do this with the lowest possible barrier to entry. My aim is to collaborate, not to get people to use a particular piece of software. By restricting this process, the Facebook model hinders collaboration. While the original web was content-based, the social web is collaborative and centered around live data. However, because web applications are each developed separately using different sets of back-end infrastructure, their data does not adhere to the principle of interoperability – their user interfaces all use the same basic standards and can be viewed in a browser, but the underlying applications and data models tend to not work with each other. When social networks emerged, for example, there was no way to get Livejournal and Friendster, two of the pioneers in the space, to speak the same language; you still can’t add someone as a friend on one social network from another. More recently, this has become apparent in the walled garden approaches of Facebook and others. Not only does this situation create a bottleneck for application design, and run contrary to the underlying principles that made the web a success, but it’s also a bottleneck to better collaboration. As Tim Berners-Lee, the web’s inventor, put it recently in this essential TED talk, data needs to be linked and interoperable in the same way pages are now. Beyond that, because walled garden services are making money out of the private information we’re loading onto them, there’s a human issue regarding the overall control of that data. Marc Canter, Joseph Smarr and others codified this into a Bill of Rights for users of the social web back in 2007. Though the issue has moved on since then, the underlying principles set out there are essential for open, collaborative, social tools on the web. While the World Wide Web Consortium works on academically-developed standards for linked data in the form of the semantic web, developers have been getting their game on trying to solve the problems of interoperability between their applications and user control over their data. Application Programming Interfaces (APIs) – published sets of instructions for programmatically querying and extending web applications – have become popular, but in a very walled garden kind of way. Arguably the most successful has been Twitter’s API, which has led to a number of high profile third-party applications like TweetDeck and Tweetie that collectively eclipse Twitter’s own website interface in volume of usage. But these APIs are their own form of walled garden: an application written for Twitter will only work with Twitter, for example. The APIs are not generalized between applications, and as such are not truly open; in many ways they’re a way for services to get more functionality and reach for free. One of the first attempts to publicize the benefits of truly open data was Marc Canter’s Data Sharing Summit, which I wrote about at the time for ZDNet. 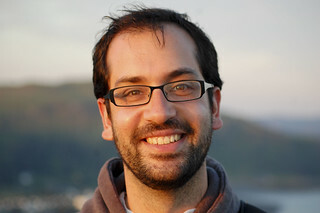 Chris Saad’s DataPortability.org attempted (largely successfully) to brand it, and latterly the Open Web Foundation has attracted some of the web’s leading lights in order to create a single organization to handle the creation of a set of open web application standards. Many of these comprise the Open Stack, which I’ve written about before; more generally, Chris Messina has written a very thoughtful overview on the topic. It used to be that to use the web, you would need to sit down at your computer and log on. Those days are over; the web is becoming more and more ubiquitous, thanks to devices like the iPhone. It’s also being integrated into software that wasn’t previously connected – it’s as easy, for example, to paste the URL of an image into the ‘Insert Image’ dialog box in most word processors as it is to pick an image from your own hard disk. The open, generalized API standards being created by groups like the Open Web Foundation bring us closer to enjoying that level of integration with collaborative social technologies. The Internet is people, not technology: tools on the web (or anywhere else) facilitate social networks, but are not the network themselves. Currently they consist of destination sites, like Facebook, LinkedIn or Twitter – places that you explicitly have to visit in order to collaborate or share. This is the currently-fashionable model, but it’s a necessarily limited view of how collaboration can take place: all of these sites thrive on the walled garden model and are designed around keeping participation within their walls. You select the people you wish to collaborate (in this case, email or chat) with. Nobody but the listed recipients will be able to see the content you share with them, and it doesn’t matter if they’re using the same service as you; you don’t have to invite them to join email in the same way you have to invite people to join Facebook. They (hopefully) send content back. The collaborative exchange lasts only as long as it’s useful, and then disappears (but is archived for reference). Recently, Google announced Wave, a decentralized pairing of protocol and open source web application that took email and IM as its inspirations to redefine how collaborative social technologies could work. Questions have been raised about how a decentralized tool like this can work with corporate data policies present in most large enterprises and public sector organizations, but in some ways they miss the point: Google Wave is best thought of as a proof of concept for how decentralized, transient communities can work in a standard way on the web. In short, websites are a kind of walled garden in themselves: what we will return to is the idea of the web as an open patchwork of people, data and information that links together to form a whole, much stronger than the sum of its parts. Predicting the future of social networking on the web is hard. However, I believe that as general open social technologies develop and become more commonplace, the “social networking site” will shrink in importance – instead, social network facilitators will become more and more ingrained in all the software you use. This will dramatically increase the types of content and communication that can be used, and present opportunities for much wider, more fluid and – most importantly – more productive collaboration as a whole.